My intention to read everything Terry Tyler has ever written or ever will write is well documented. This is the second novel by her that I have read so far in my quest and it did not disappoint.The story makes a two-pronged attack. On one hand there is the story of the breakup of Nick and Ria’s marriage and the subsequent fallout for them, their two daughters, and their wider families. Running parallel with this is the story of four single women who meet on Facebook and who, after having developed a genuine friendship decide to meet up in person. You know that these two threads just have to be connected somehow but how, when and where will keep you guessing to the end. And what an end! 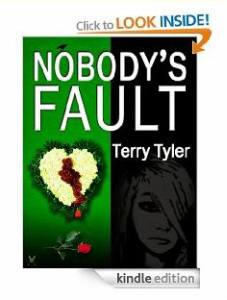 Once again Ms. Tyler has produced a terrific piece of drama that is difficult to stop reading – even eating and sleeping take a back seat. She has a remarkable talent for either forcing her reader to turn the next page or to have them screaming in frustration if they really can’t at that moment. And the fact that they are so well written makes the whole experience such a joy.She herself admits that the book could have done with some further editing but it is not always easy for Indie writers to afford professinal services. That said her subsequent books do now have all the editing input they need. Taking all that into account, the odd mistyped word here and there takes nothing at all away from the pleasure of reading her. I’ve already started on the third book and am excited already.